The composers of IMAscore did a splendid job on the music, the sound design and everything you can hear. They helped us write the lyrics for all of mina’s songs as well as creating an amazing scoring. Coming from Paderborn, they even visited us in the capital, Berlin, for the song recording, several times. Of course they also did the gorgeous sound design for the radio play and in-app-sounds. A really big task, because for that they needed to remaster the voice recordings and make them fit into the story atmosphere. 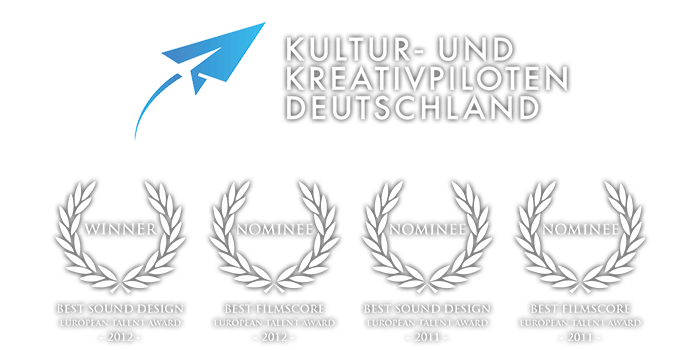 In the past they’ve been priced as “Kultur und Kreativpiloten Deutschlands”, a german award standing for innovative creativity and culture. The members of IMAscore are all professionals. the perfect partner to create something unique with a very high standard of quality. Sebastian Kübler Is winner of the European Talent Award. He was responsible for the sound design in Mina’s Adventure. Sebastian also wrote the song “Till The End”, as well as he composed the intro and ending of our radio play. Xaver Willebrand wrote the lyrics of every song in both german and english language. Eric Krause helped florian creating the scoring and composed “No One Is Better”, one of the most complex songs of the radio play.